Solid state drives are incredibly fast. There’s no denying that. Unfortunately all that speed comes at a heavy cost premium. 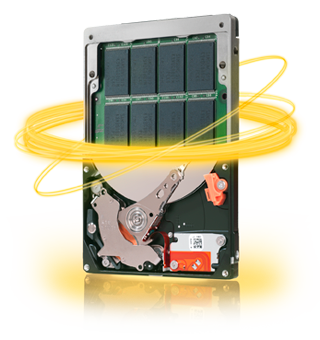 With Solid State Drives you pay considerably more per GB than with traditional platter hard drives. Even if we ignore price, you won’t find an SSD that can match the storage size of some platter hard drives. So what is a consumer to do when they need lots of storage space, but also want high performance. Many times they just buy an SSD and a hard drive, but this option isn’t open to everyone (especially laptop owners). This is where a special class of hard drives, hybrid hard drives, comes into play. We had looked at the first generation Momentus XT before, today we are taking a look at the newest incarnation of the Seagate Momentus XT. Read on to find out what’s different about this version and if it will remedy your storage woes.